It’s tempting to look at a 25 minute flight time compared with a four hour drive and think it’s an obvious choice, however, just because a small plane looks like the cheapest fastest way between two points within Costa Rica doesn’t mean it actually is. 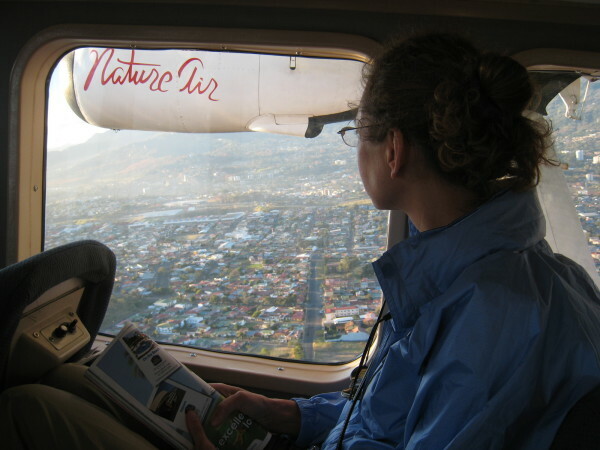 A few things often conspire to make flying around Costa Rica an inconvenient, expensive pain in the neck. A quick look at the map of scheduled routes reveals the biggest problem – San José is on every flight plan. That means what could be a quick 20 minute direct flight from Arenal to Tamarindo becomes a logistical challenge that might even require an overnight stay in the capital. Another consideration is ground transport. Even high end lodges and resorts rarely have free shuttles to or from the small local airports and there aren’t always taxis sitting there waiting when a flight with only six passengers arrives. If you’re going to fly domestically you’ll need to arrange transportation on both ends as well as the plane tickets. There’s an art to crafting a Costa Rica travel itinerary. There are no simple rules for deciding when to fly but there are some times and places that make more sense than others from a time, cost and even environmental impact perspective. The muddy brown waters of the Sierpe river empty into the Bahia de Coronado. Tortuguero and Corcovado (on the Osa Peninsula Drake or Puerto Jimenez airport) are each about as far away from San José as you can get and still be in Costa Rica. Roads are rough, seasonally impassable or even non-existent and once you arrive there are many attractions you can only reach by water or walking trail so there’s little need for a vehicle. 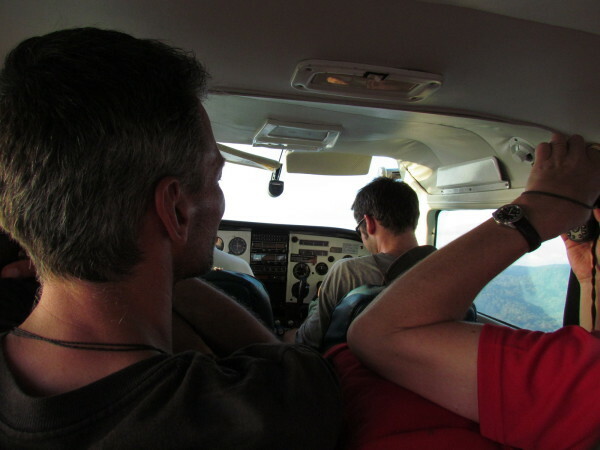 Their remoteness and inaccessibility means that getting there by a combination of ground transportation and boat can take most of a day while a flight is an incredibly scenic hour. Another region that’s not quite as remote but still difficult and time consuming to reach is the southern tip of the Nicoya Peninsula – Montezuma, Cabuya, Caba Blanco, Santa Teresa and Mal País. There is a car ferry from Puntarenas to Paquera but it takes about an hour and you have to be at the terminal at least an hour ahead of time (sorry no online reservations available). Add a couple ours driving on each side and the possibility of horrific traffic between San José and the coast and a flight into the Tambor airport can be very appealing. Remember though that if your international flight is into Liberia you’re probably better off taking ground transportation to the Guanacaste or Nicoya Beaches because a domestic flight will probably mean making a connection in San José. Again, a glance at the the map of domestic flights makes it obvious that if you’re already in San José or trying to get to San José is the best time to consider taking a local flight. Almost without exception domestic flights originate or terminate in San José so it can be a great way to start or end your trip if your international flights are at SJO. Just don’t try to cut it too close on your international <<>> domestic connection because service is typically from two different San José area airports and you have to allow time for a taxi ride. If you’re not starting or ending in San José it rarely makes sense to fly. 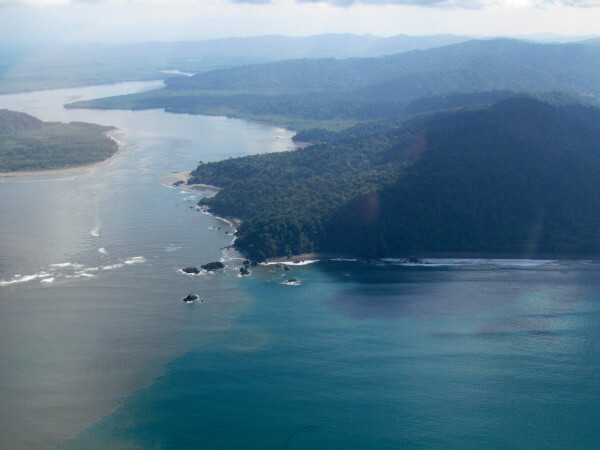 For example flying from Manuel Antonio to Arenal actually involves a 30 minute shuttle to the Quepos airport, a 30 minute flight from Quepos to San José, a layover of 1-4 hours, a 35 minute flight from San José to the Fortuna airport and finally a 30-45 minute shuttle ride to a lodge near the volcano. A direct flight would only be about 45 minutes but unless you charter a whole plane there are no direct flights. The drive takes about four hours which works out to be faster in most cases. There are no rental cars at the domestic airfields so you can’t avoid the shuttle rides even if you’re planning to drive yourself. The only scheduled domestic flights available from the other international airport in Liberia (Daniel Oduber, LIR) are to San José so if you’re flying into Guanacaste it probably doesn’t make sense to consider air travel within Costa Rica. 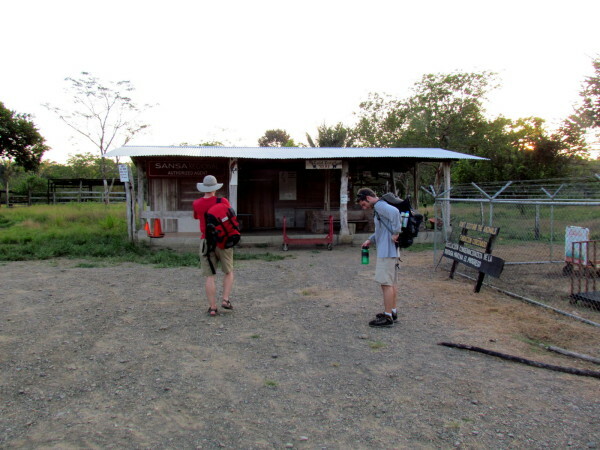 There are no airports near Monteverde. There is an airport on the southern Caribbean (Limón is the third largest airport in Costa Rica and can handle jets) but there are no scheduled flights. It’s not clear whether this has anything to do with rising sea levels pushing the occasional wave onto the poorly planned runway. It might be worth checking into a charter if you have a group since re-paving operations (continuing into 2015 or 2016) are making the normally heavy slow traffic on the Guapiles Highway an absolute nightmare at times. A couple of others where you’ll probably do better trying to rearrange your itinerary instead of covering a lot of ground in the air are Arenal, Tenorio, San Vito, San Gerardo de Dota and Chirripó. If you’ve got the money for a private helicopter then these rules go out the window and by all means have your pilot file the flight plan!